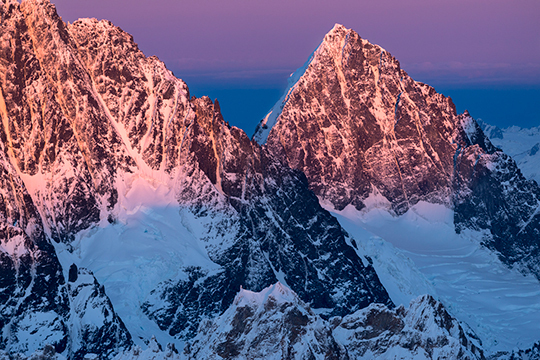 Six months ago, we posted a slideshow on Alpinist.com by Carl Battreall called "A Collection of Climbed and Unclimbed Alaska Peaks." 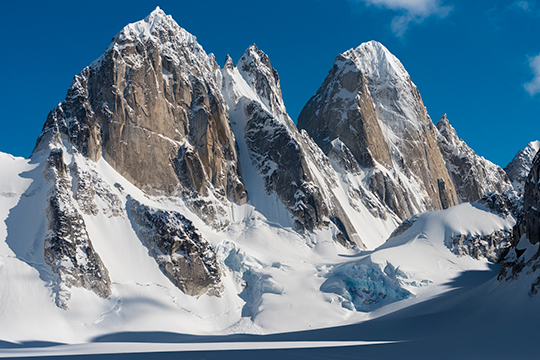 His shot of the Citadel, in the Neacola Range, was inspiration for the namesake film by Posing Productions documenting Matt Helliker and Jon Bracey's new route up the peak's Northwest Ridge. 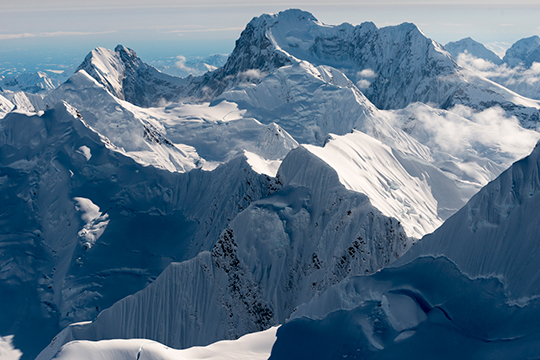 "Ten years ago, I began the long process of exploring and photographing the mighty Alaska Range," he says. "Motivated by the great mountain photographers of the past including Vittorio Sella, Shiro Shirahata and Bradford Washburn, I hope to inspire alpinists, adventurers and dreamers." 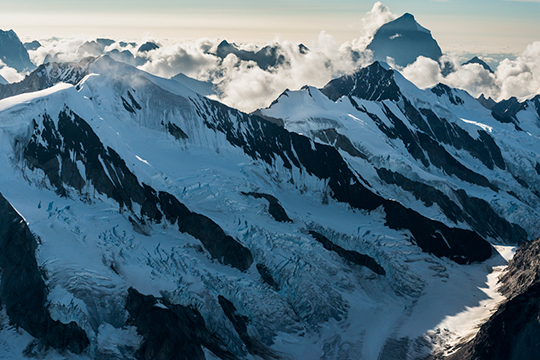 Battreall calls this collection of seven photos "The Siren Call: A Sample of Images from the Alaska Range Project." 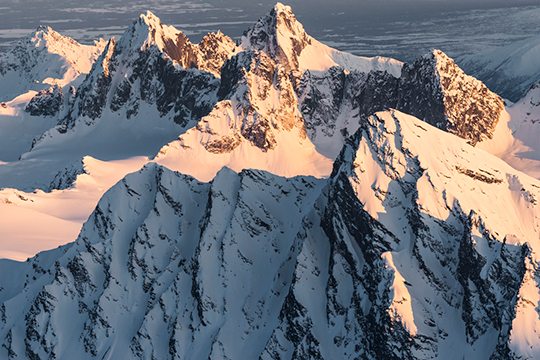 Last light on the unclimbed Peak 8505, Neacola Mountains, Lake Clark National Park and Preserve. While Mt. Deborah (12,339') is the main attraction for visiting climbers, Mt. Hess (11,940') dominates the landscape. 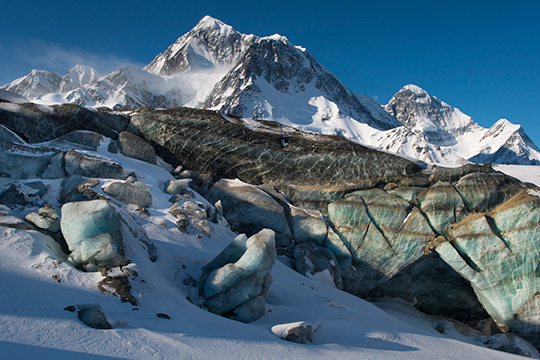 Across the Kahiltna Glacier from the Little Switzerland area are the Ramparts, a collection of rarely visited granite spires. 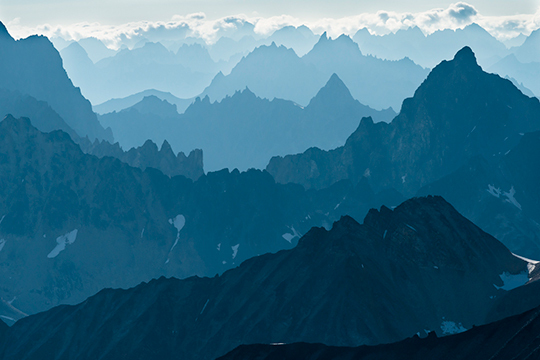 North of the legendary granite spires of Ruth Gorge is a sea of rarely visited, heavily glaciated peaks in the heart of the central Alaska Range. The towering black sentinel of the Revelation Mountains, Mt. Hesperus (9,828'), stands guard on the Revelation's northern edge. This behemoth has only seen one ascent, and is rumored to have rotten rock. The perfect granite monoliths: South Triple and Middle Triple peaks surge relentlessly out of ice at the head of the Tatina Glacier. Sandwiched between the Tordrillo and Revelation Mountains is a pristine alpine wilderness called the Hidden Mountains; their isolation and ruggedness have rejected most expeditions. To see more of Carl Battreall's work, check out his website, stay tuned for his upcoming book, The Alaska Range (see the Kickstarter campagin for it here), and follow him on Facebook and Instagram.